Neighborhoods play a role in most people’s lives, whether they want them to or not. Some see them as a resource, as home, and a local community in these global times, others regard them as a challenge or the source of many conflicts. These multilayered constructs are the focus of the artists and initiatives taking part in this exhibition, several of which have a direct impact on neighborhoods by creating frameworks for contact and interaction through their project work. Datscha Radio generates urban fields of activity, always in new places throughout the city, and traces the communality of networks. The artist collective nomadicArt collects and archives the stories of a neighborhood, producing a collective consciousness in the process. Camping Akademie e.V. 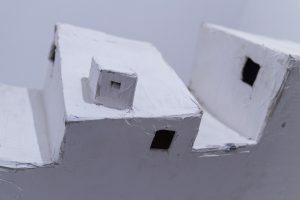 practices community art with the various groups and generations in a neighborhood and Ira Hadžić & Kevin Ryan investigate how different realities of life collide in the smallest of spaces. Opening: Saturday, 28/07/2018, 7 p.m. Opening times: Thursday–Sunday, 3-7 p.m.
Thursday, 23 August 2018, 5.30 p.m.
Friday, 31 August 2018, 7-10 p.m.
Free admission and wheelchair access to all events! Camping Akademie e.V. presents the installation „Rokoko Wunderkammer Weissensee“ (Rococo Cabinet of Curiosities Weissensee). 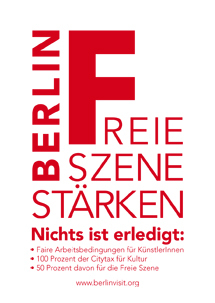 The creation of Christine Falk and Alfred Banze, who realize participative projects in Berlin and around the world, it unites a collection of treasures from different projects undertaken in Weissensee. The pair has worked there since 2012 with two recreational centers for children (FiPP-Nische and Freiraum von FiPP e.V.) and a retirement home (Bischof Ketteler Haus) in the immediate neighborhood. With their multigenerational projects, they motivate children, young people, parents, senior citizens, and educators to create community art. 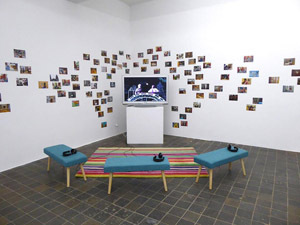 In the exhibition, a centrally positioned screen will show a silent movie set to music from 2012 called Wie der Tiger von Eschnapur nach Weissensee kam (How the Tiger of Eschnapur Came to Weissensee). The film references the production of silent movies in Weissensee at the beginning of the 20th century, which was also located nearby in the neighborhood. Photos, graphic works, and texts round out the installation. Datscha Radio is both a temporary radio station with changing locations and a global garden research project by Gabi Schaffner in collaboration with local actors and creatives. The garden serves as a metaphor and matrix for a wide variety of different artistic approaches with the aim of creating a community radio that promotes antihierarchical perspectives and organic growth. 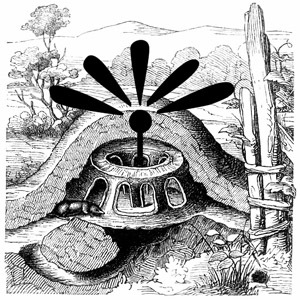 „Unearthing the Archive broadcasts“ performative gems, lingual content, and music from the micro-/macrocosmos of our human and botanical neighbors. Set between molehills and mobile radios, deck chairs and a selection of shows played in “random mode” offer visitors the opportunity to make themselves comfortable and sit back and listen. The exhibition in Kunstpunkt will be realized together with the Berlin-based radio producers Kate Donovan, Niki Matita, and Helen Thein. A collaboration between the author and artist Ira Hadžić and sculptor and musician Kevin Ryan resulted in the sound sculptures „Housestory“. They consist of architectural structures with just small openings that allow glimpses of an interior that cannot be entered. Sound permeates from the darkness, inviting visitors to listen and drawing us in. Sounds and words interact and weave together mysterious stories that lead us through the interiors of a house and its different realities. The basis of the work is formed by excerpts of texts from Ira Hadžić’s book „Evacuation of Nada“ (2013) that have been rearranged and read out loud. It can be understood as a meditation on the many perceptions and interpretations of reality that blend together in common spaces into a polyphonic whole. „Moabiter Geschichten“ (Moabit Stories) is an ongoing artistic and anthropological project dedicated to archiving urban stories that was initiated by the artist collective nomadicArt in May 2017. 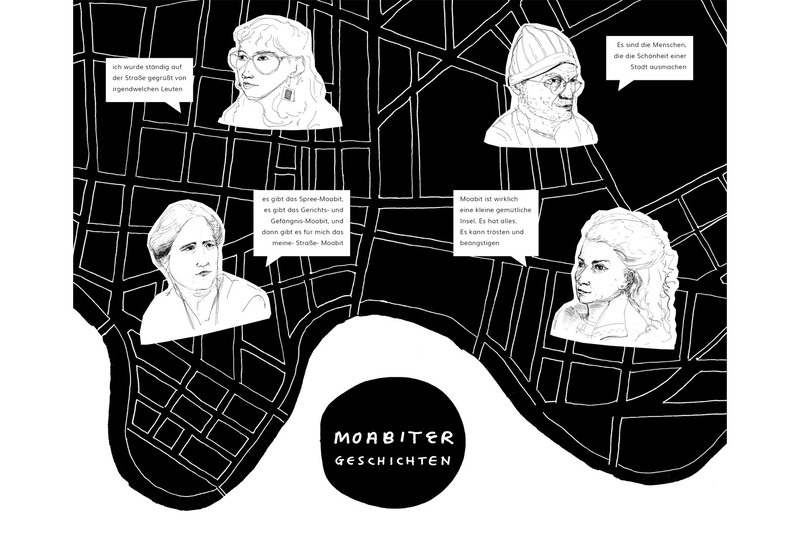 The aim of the project is to create a multimedia archive of stories, emotions, and perspectives from the district of Moabit, communicated through a variety of formats, including a digital online archive, postcards, and public events. The collective hopes to foster a culture of listening, exchange, and acceptance in heterogeneous neighborhoods and to additionally open up physical spaces for coming together, understanding, and a sense of solidarity in the neighborhood. Within the framework of the exhibition, nomadicArt will introduce the processes and results of the project to date as well as enabling visitors to experience different aspects of living together in a neighborhood through an interactive installation. Anyone who is interested can also take part in a digital forum at the location.